DIY or Exterminator for Your Pest and Termite Problem - Yes Pest Pros, Inc. DIY or Exterminator for Your Pest and Termite Problem - Yes Pest Pros, Inc.
Exterminators are effective. DIY is cheap. Which way should you go? It’s the age-old dilemma: quality versus price. Which is more worth it – saving money or having a thorough job? You need to balance your budget, the severity of the problem, and the urgency to determine what’s best. To help you decide, we’ll go through a list of the pros and cons of DIY and professional pest control. For instance, a large-scale termite infestations calls for professional help. Your home is at risk in this scenario, and an exterminator can work fast to save your home. DIY is cheaper – you know that. You can exterminate on your own time. There are no calls to make, no schedules to coordinate. You don’t have to worry about repeat visits and the like. You know your problem and home, so there will be no wasting of time discussing the problem with a third party. You can get down to business quickly and deal with your pests. Exterminators do a great job and are very efficient. Pros include the use of better techniques and chemicals, and experience is priceless. These people know about pests and the way they operate, so their experience can be applied to your situation and you can be helped to a solution faster. When you hire an exterminator, many companies will perform a free site inspection and then offer a guarantee on elimination of pests. It’s well worth the time and investment. If you aren’t convinced, ask around. Local people who have had pest issues can normally recommend a good Bloomington exterminator, or even a few. They’ve had experience, and they know what it is to have dealt with and conquered pests. Keep an open mind and always remain faithful that you can and will vanquish household pests. Go to DIY for small issues, but remember that exterminators can be good for dealing quickly with rough situations. 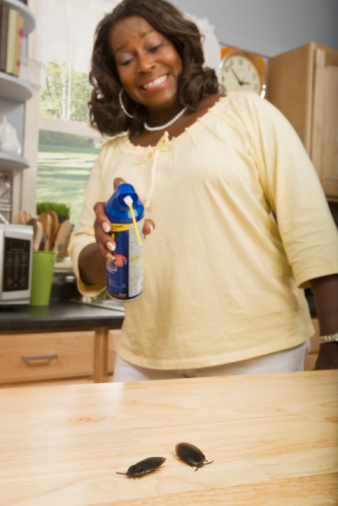 With some hard work, some thought, and some persistence, you’ll be rid of all of your household pests forever. Happy hunting and best of luck!